Atlas® 1 CO2 Monitor/Controller comes with a 25 foot remote sensor. 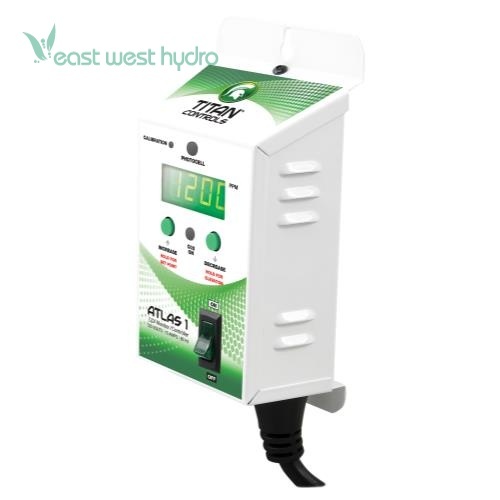 It features adjustable set point and elevation levels, a built in 'self calibration' function and an integrated photocell that enables operation in daytime hours only, when the plants need CO2. Simple to use and easy to operate. 15 Amps/120 Volt/60 Hz. Replacement sensor can be purchased separately. The sensor comes factory calibrated for precise CO2 readings and utilizes low voltage technology to avoid Radio Frequency Interference (RFI) from electronic ballasts. Digital control board delivers precision CO2 control. 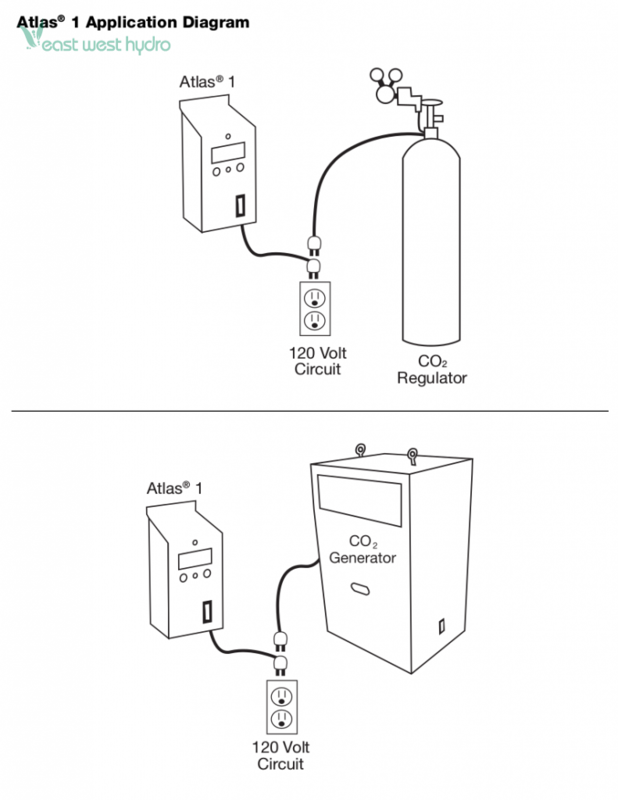 Maximize your CO2 production while minimizing CO2 or LP consumption. Adjust CO2 set point, modify elevation or calibrate with just two buttons. 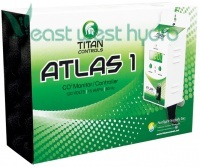 Controls any CO2 equipment that is operated by 120 volt power. Durable powder coated, steel enclosure will stand up to the toughest conditions. Adds CO2 only during daylight period using the controllers integrated photocell. 50 parts per million (ppm) deadband/hysteresis built into set point. Memory retains controllers setting even when the power is off. 15 Amps/120 Volt/60 Hz./3 year warranty. Dimensions: 12.5in. × 9in. × 4.25in.